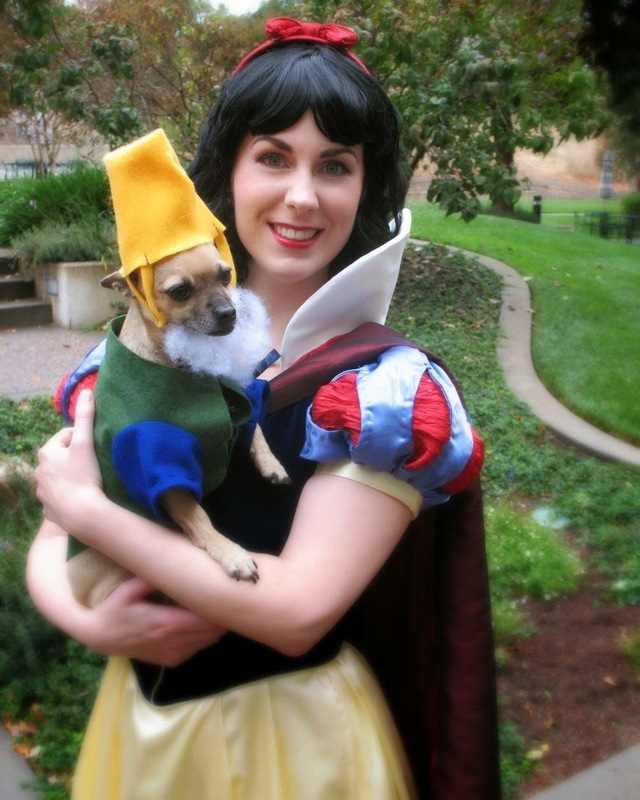 Happy Halloween from Snow White and Happy the Dwarf! And since I have not heard from the winner of The Magic Pattern Book, I have chosen another . . .
. . . Cynthia Lanahan . . .
please send your mailing address to lauramae.p.s [at] gmail [dot] com so Workman Publishing can get you your new sewing book! You both look so great! Hope you had a fun Halloween! I remember this one. Soo cuuute! I made this for my daughter a while back. Snow White has my favorite princess dress. I wish I'd thought go the dwarf costume for the dogs, tho! That is the cutest dwarf I've ever seen! this is a really fantastic costume idea! The Winner of The Magic Pattern Book is . . .